It’s important to remember that your lifestyle should already include high quality protein! Sources from lean meats, fish, nuts, seeds, legumes, eggs, lowfat dairy, etc. Supplements are intended to “supplement” a healthy lifestyle/ an addition, not the base of your nutrition. It is perfectly fine to incorporate a protein supplement after a workout as a meal or snack, but also include a variety of fresh fruits and vegetables with your eating. Supplements are meant to ‘supplement,’ not replace healthy foods! 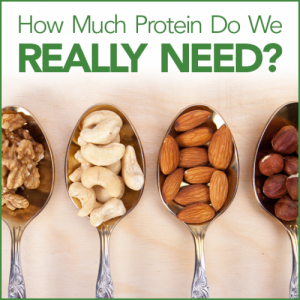 Check out this nifty calculator to find out how much protein your body needs. Keep in mind your protein needs! 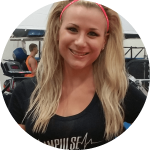 How much protein you need varies with age, activity level, overall goals, and any preexisting medical conditions. However, the average female needs 60 grams of protein per day, and males need 80 grams per day. In milk, approximately 80% of the protein is casein and 20% is whey. Both casein and whey proteins are rich sources of peptides that significantly lower blood pressure in those with hypertension and may contribute to satiety and regulate food intake. The main protein in Ascent is whey; but it is also made with native whey, the least-processed whey protein available today, zero artificial ingredients, has rapidly digesting protein – perfect for taking after your workout. Contains 25g protein per scoop, 5.7g of naturally occurring BCAAs (including 2.7g leucine), and a clean, minimal ingredient panel. It is also Certified Gluten Free and Informed Choice Certified. Ascent is dietitian approved! Enjoy!